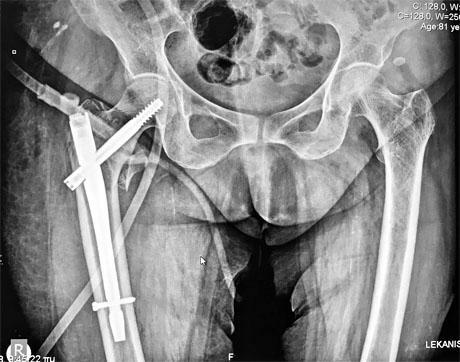 INTERTROCHANTERIC - SUBTROCHANTERIC FRACTURE | GEORGE D. GOUDELIS MD. Ph.D. 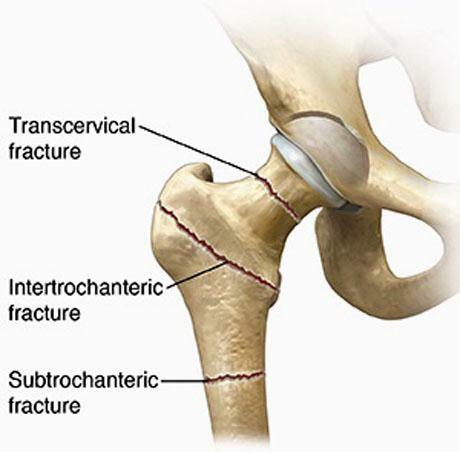 The intertrochanteric and subtrochanteric fractures of the femur are the most common form of bone fractures in humans of the third and fourth age. 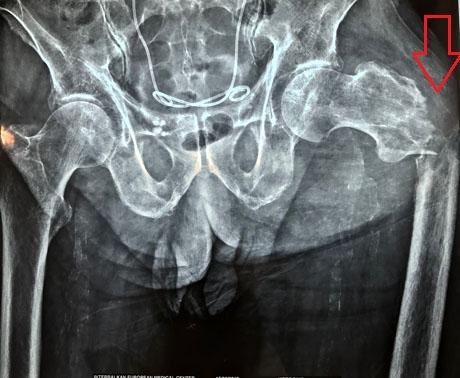 Osteoporosis (the quantitative and qualitative reduction of bone tissue) due to age as well as the decrease in human balance ability are the main factors in the occurrence of these fractures after the person falls to the ground. Also, the use of walking sticks, in conjunction with the carpet and carpeting in the house, as well as the slippery ground in the bathroom (water in the ground), complement the risk factors for easy dropping. 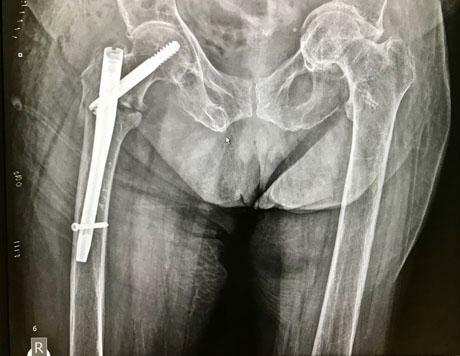 Many times the fracture is done automatically or with minimal force - without dropping the patient - because the upper third of the femur is a metastatic area of a tumor that develops into another anatomical area. 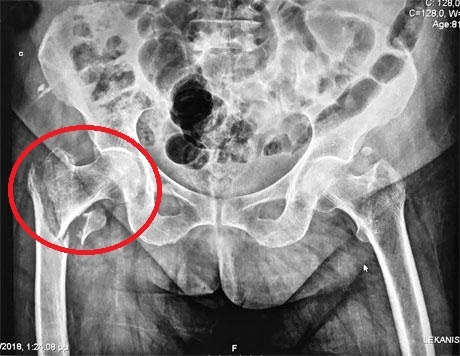 The area of metastases due to bone quality deterioration is a lingering point for fracture. 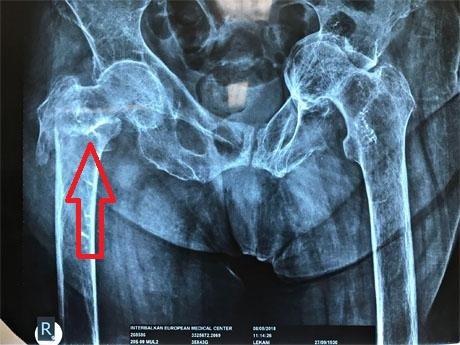 The intertrochanteric and subtrochanteric fractures in the past lifted the patients for two to three months in bed until their bone healing became progressively. This was the cause of thromboembolic events for the patient, which often led to the loss of their own lives. Also, the muscular atrophy of the legs due to prolonged bedstability, as well as the disorder of the kinetic memory of walking and the balance led the individual to a life long stay in bed with all the consequences he had for himself and their families. 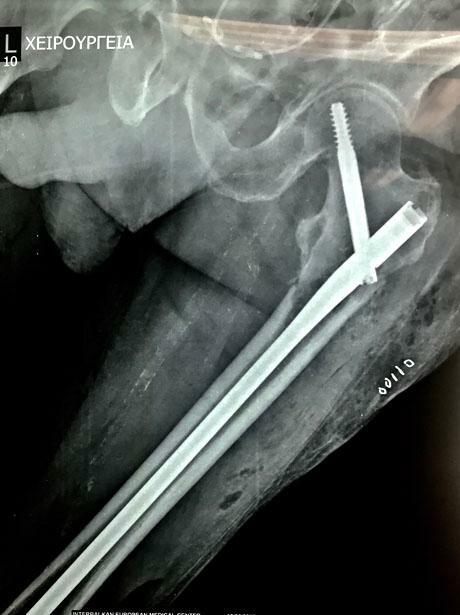 Surgical treatment is now the 'GOLD STANDARD' of the treatment of intertrochanteric and subtrochanteric fractures of the femur. 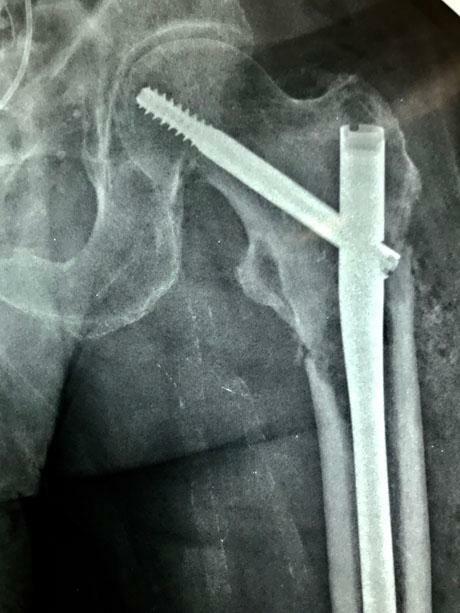 It belongs to the new generation of minimally invasive procedures where the improvement of the anatomical and biomechanical knowledge of the human body as well as the optimization of the materials enables the Orthopedic surgeon to start and finish the surgery through small incisions of the skin without disturbing and injure the body tissues. The goal of the new generation of these interventions is to bring the patient back to their daily activities quickly and avoid prolonged bedtime stays. The first postop day, the patient will get up and with the help of the physiotherapist will do his first steps. The use of the walker is essential for a period of time determined primarily by the nature of the fracture (comminuted or not). Already from the 1st postop day, the patient will feel functional as he walks on his feet and this is an important element in dealing with the disturbed psychology of the cause of the injury.